A new bakery and cafe, offering pizza and more, has opened its doors in the neighborhood. Located at 757 S. Front St. in Queen Village, the fresh addition is called Fiore. Housed in the former Kanella South space, this Italian spot comes from husband and wife duo Justine MacNeil and Ed Crochet, known for their work at New York City restaurants like Craft and Del Posto, according to Philly Eater. For breakfast, look for whipped ricotta toast or a pork and fennel sausage breakfast sandwich. There's also a small selection of pizza and pasta plates. On the drink list, there's coffee, tea or its specialty Italian drinking chocolate. Fiore has proven popular thus far, with a five-star rating out of four reviews on Yelp. 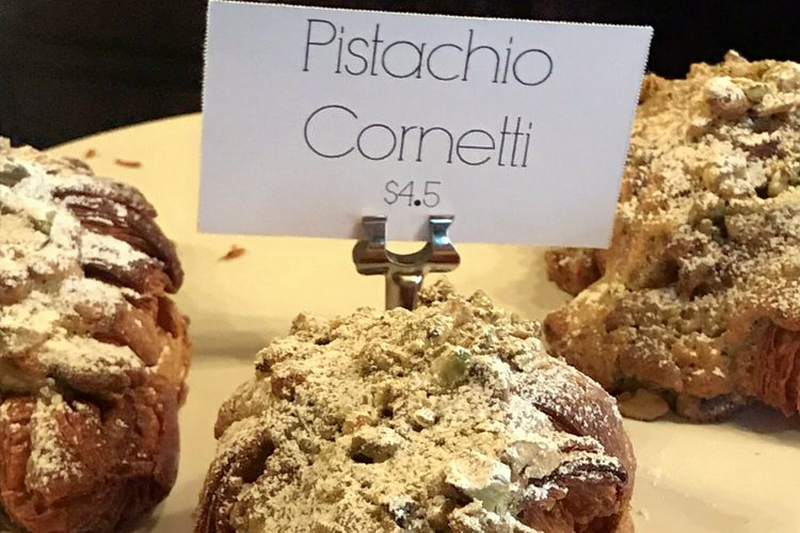 Eileen T., who was among the first Yelpers to review the new spot on February 13, wrote, "I enjoyed coffee, a latte, a pistachio pastry and a morning bun. The pastries were flaky, crunchy, tender, buttery and flavorful." Yelper John G. added, "We had coffee, pastries, pizza and chocolate. It was so simple and delicious and the space was so bright and open."